The “striding man” now walks with a striding woman—and she plans to make her voice heard this year. 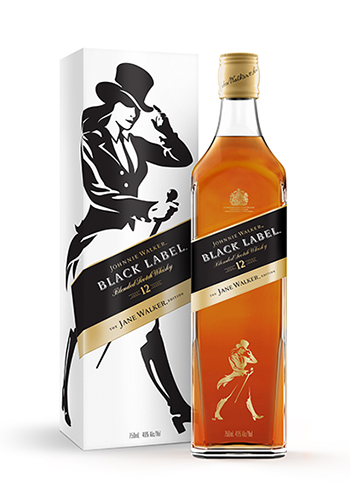 Beverage giant Diageo’s Johnnie Walker brand has added a female counterpart to its iconic mascot after more than 100 years in tribute to women around the world. It grows more relevant by the day with conversations about gender equality permeating every level of society. The Johnnie Walker Black Label “Jane Walker Edition” debuts in March to coincide with Women’s History Month and International Women’s Day celebrations. In a multi-faceted attempt to support women in business, culture and politics, the company will donate $1 for each bottle produced to nonprofit campaigns like Monumental Women, a movement to erect a monument honoring America’s women suffragists in New York’s Central Park (there are currently 23 historical statues in the Park, none of which honors a real woman), and She Should Run, a group encouraging women to register and run for elected office. Specifically, Diageo will donate up to $150,000 to Monumental Women and an unspecified amount to She Should Run. “We are here to move history forward. Monumental change is coming. 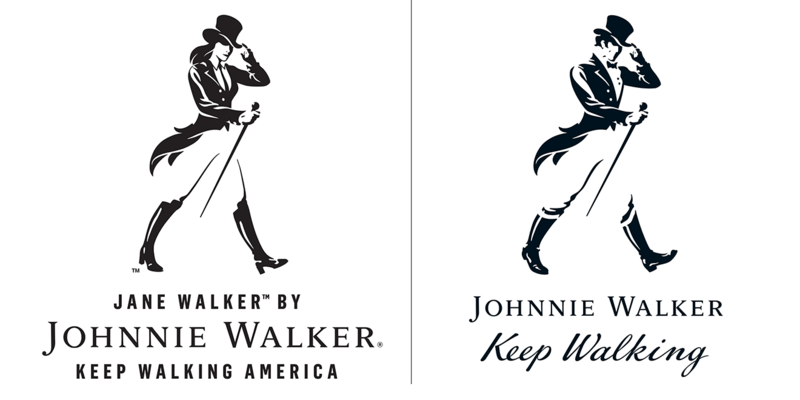 We thank Johnnie Walker for their support and recognizing the importance of Women’s History,” said Pam Elam, president of the Elizabeth Cady Stanton and Susan B. Anthony Statue Fund and organizer of the Monumental Women campaign. 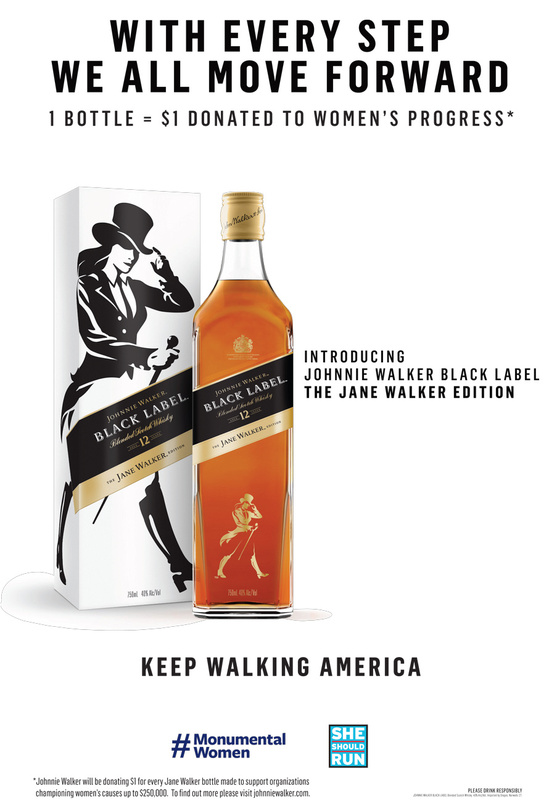 Anomaly, which has been creative agency of record for Johnnie Walker since late 2014, handled the campaign, including the new packaging and logo seen below as well as a full-page ad set to run in the latest issues of the New Yorker (on shelves today), Vanity Fair, New York Times, Financial Times, Hollywood Reporter and Time Magazine, among others. 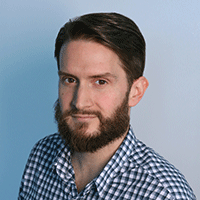 “Anomaly is incredibly proud to be part of this initiative that clearly signals Johnnie Walker’s ongoing commitment to personal progress. Last year, we stood for progress for everyone with ‘Keep Walking America’, and we continue to champion equality for all,” said partner and global chief operating officer Karina Wilsher. The concept behind the campaign has been in the works for some time. Just days after the 2016 election, Adweek’s AgencySpy reported that Diageo had to scrap a similar “Jane Walker” campaign scheduled to run in the wake of what would have been a historic victory for Democratic presidential candidate Hillary Clinton. “We wanted to launch Jane at the perfect moment, and the election of the first female president was certainly identified as a historic milestone to consider,” said a company spokesperson.